Suitable for day to evening. 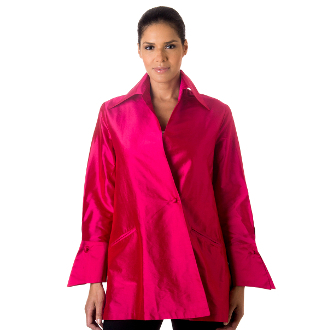 Fuchsia silk shantung 3/4 length shirt. Asymmetrical crossover front with covered button closure.